Jordan Zimmerman is among the most provocative entrepreneurs of the last quarter century, and a singular expert on how to achieve success. As founder and chairman of one of the most successfuland client-focusedad agencies in the world, his formula is simple: Everything begins with insane commitmentand plenty of it. Leading Fearlessly is a pull-no-punches guide to successwhether you need some inspiration on a new business idea, motivation to continue fighting obstacles, or if you just need some direction. The undisputed "bad boy" of advertising shows you how success goes only to those who do whatever it takesand who relentlessly pursue the goal, but never rest in the glory. 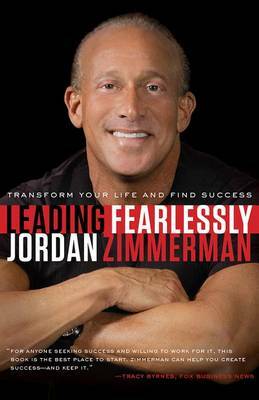 Leading Fearlessly is a powerful and inspiring prescription for anyone who dreams of success and is willing to sacrifice all that it takes, as long as it takes, to get there.